WeChat had over 600 million active users and only 70 million of those were from outside of China. 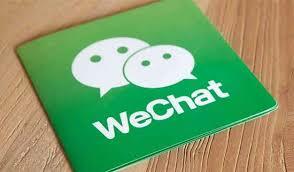 Often considered the ‘WhatsApp’ of China, WeChat is actually a far more advanced and powerful WeChat Marketing app. The app can do much more than send messages. These are just a handful of the amazing features the app currently offers and it is continuously adding new and exciting attributes. WeChat is said to offer the best of Facebook and WhatsApp rolled into one app. 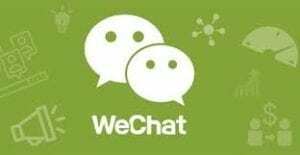 Tencent has added features upon features that have made WeChat a central component of a user’s everyday life. The users are estimated to spend 30 hours a week on the internet on average. This is reliance on and need for technology is what continues to see the app’s popularity soar. One of the most striking features of WeChat is how personal and engaging it can be. The rich features of WeChat allow celebrities and brands to communicate with fans and more importantly, engage with them through messages, videos, photos and much more. ‘Subscription’ pages are special channels where brands and companies can promote themselves to customers. Read More: What Are The Best Strategies for WeChat Marketing? WeChat has been used for mobile commerce by brands, celebrities, services and even WeChat themselves. Users can pay for everything and anything via the app. The ease of access to products and connectivity has led to users becoming more prone to conducting payments via mobile as opposed to any other method. From a business standpoint, having a strong and effective WeChat marketing strategy is essential. Brands looking to grow and promote themselves within China must be aware of this exciting and growing app as mobile is, without a doubt, the future of ecommerce. WeChat Followers Acquisition and Engagement is not an easy Job. Competition is more and more fierce and 10% the Wechat account get 90% of the views, interactions. 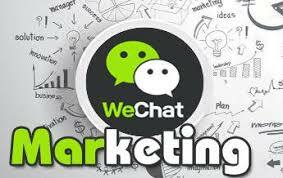 Here mentioned are few of the important WeChat Marketing Strategies. For B2B, tourism, or services industries, you can use Wechat to communicate with your target audience and generate leads. It is not the most efficient way of doing this (Wechat is a closed platform, so, therefore, be difficult for your target audience to find you), but it can work well. Content is the most important part of Wechat Marketing. It can be difficult to get visitors on Wechat, so producing good quality content regularly can help increase your visibility. Content including useful tips, market information, special offers etc. can really help encourage your audience to follow you on Wechat. Before starting a Wechat project, we usually carry out a content strategy, where we evaluate what the target audience of our client may be interested in and from there, we create articles around that. Another aim of producing good content is that it becomes sharable content. Whether your audience shares it in targeted groups, by direct message or in their own moments, this all leads to great visibility for your company. It is difficult for companies in B2B to produce shareable content, and most of them have the temptation of producing corporate only content. For our agency, if we were to only send information about Gentlemen, we would probably not have many followers. Therefore, we choose to produce added value articles for our audience, including market information, tips to achieve success and how to maximize results. As previously mentioned, Wechat is a closed platform and in the early days, you will really need to heavily promote your account and your content. It may sound simple, but 95% of companies in lead generation fail to promote and share their content in groups, forums websites, and other media platforms. Some companies also forget to share their QR code for their Wechat account on their website and with emails to clients. By not doing this, your company is potentially missing out on a lot of followers. Big companies will benefit from having a community manager; somebody that will integrate themselves into targeted groups will interact with your target audience regularly share your content in groups and on their moments. Having an active customer service base on Wechat can be hugely beneficial in terms of instant interaction with customers who have queries. This is a great way to provide instant and direct information and quotations if necessary. Robot chats are quite popular all over the world, as it helps your team avoid having to answer the same question time and time again. Instant Messaging, in this regard it can be compared to popular western apps such as Whatsapp and Snapchat. It is now the main method of communication for the younger Chinese generation. The text function of a mobile phone is as good as dead nowadays. Moments are WeChat’s version of Facebook’s timeline and wall. You post via your profile, and it can be seen on your contacts’ Moments. Official accounts with a subscription. Probably the most beloved feature for marketers and content creators alike, it allows an organization (magazine, company, shop, personalities, etc.) to have a subscription-based account to share content with their audience. It is somewhat similar to a fan-page on Facebook. Microsites and app-within-the-app. You can have your own website or app running inside the application. It opens the great possibility for brands as well as online retailers. WeChat e-wallet gives users the opportunity to connect the platform to their bank. Therefore, allowing them to use the app as a method of payment in many shops. You can also buy directly online or in the WeChat m-commerce platform. Payment can be made simply by scanning a QR code or transferring payments to other users. 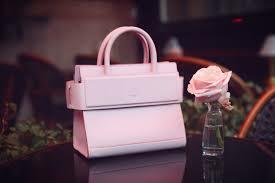 Givenchy has utilized the services of one of the most influential influencers, otherwise known as Key Opinion Leaders (KOL) of the country to promote a limited edition handbag. Tao Liang, known on the web under the name of Mr. Bags, has an audience of 1.2 million followers on WeChat. Using a KOL with so many followers proved a great way for the brand to achieve a relevant, fashion-oriented community. This association between the brand and the KOL involved Tao Liang publishing a post on his Wechat referring to the partnership with Givenchy and the promotion of 80 handbags in limited edition sold for 15,000 RMB per bag. The company decided to launch the marketing of these bags a few days before Valentine’s Day. The Chinese are generally known for the importance of offering gifts at important events. This choice as to the launch date is even more judicious. This proved to be a highly successful strategy for the brand since, as in just 12 minutes, the entire collection was sold. This positive buzz has also enabled the brand to strengthen the brand’s sense of belonging and increase its brand image. The luxury brand decided to use Wechat for the promotion of its collection of style. In the past, Montblanc had already used the platform for the promotion of its Moon phase as a means of communication and had been very successful. 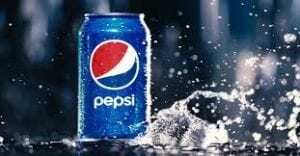 Part 2: The second part of the campaign focused on the ability to engage the consumer in the brand experience. The user had the opportunity to customize his Montblanc pen by choosing the color he preferred. The color finally chosen, the individual had the possibility to share his creation on WeChat. The brand positioned this particular campaign over the Chinese New Year period to achieve maximum success. This campaign featured two H5 games. One which allowed the player to send fireworks to wish the new year to his entourage and the other, to play a small game symbolized by a rooster, the Chinese sign associated in this year of 2017. The creativity and simplicity of the campaign allowed users to share with their loved ones during this event. Moreover, the fact of having created a mini-game for Internet users was a relevant idea of the mark. Indeed, the Chinese are big consumers of video games, especially on mobile. 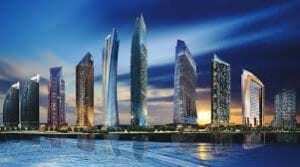 Damac Properties, founded in 2002, is a real estate development company located in the Middle East and Dubai. The agency is committed to providing its clients with unique living concepts as well as dream homes. The campaign was essentially based on the presentation of the entire company. DAMAC proposed a welcome page of its account on WeChat while sobriety taking up the codes of the brand, it also released content through stylish H5 pages to keep its customers informed. 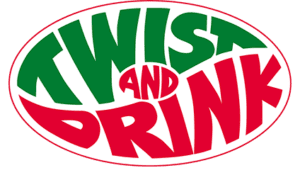 Twist & Drink is a beverage brand for children which were created in Austria in 1973. The beverages are all made from natural spring water from the mountains. A wide range of fruity tastes is offered to consumers. The bottles of the brand distinguished by their bright colors and the design of the bottle. The brand positioned itself on social networks such as WeChat for the promotion of its products. Indeed, it created a colorful and animated world within the application in reference to its products and reflecting the colorful appearance of the bottles. To appeal to children, the bottles became mascots. Each bottle had its own characteristics and personality that allowed the children to recognize them in one of the mascots. Regarding its marketing campaign on WeChat, the brand initially launched a game on the application. The game was based on the different characters where the users would compete to collect the most points in the Twist & Drink arena. Also in the application, the subscriber’s i.e. the parents could access the online store of the brand to buy the products directly. A contest launched with the physical bottles, allowing consumers to win prizes if the bottle top was winning. WeChat is a great social network with great features and it gives brands a great way to promote themselves and to exchange directly with their audience. In the future, WeChat might just become even more useful to businesses, by allowing companies to “hire” an army of promoters that can sell their products the same way a salesperson does. We have the conviction that no matter what your business is, WeChat will help you push it forward behind the Great Wall. So stay tuned with BulkQ to know more about the latest updates on WeChat Marketing Strategies, Marketing tips & tricks!